Pond at the Mount Milligan copper-gold project. Photo by Centerra Gold. 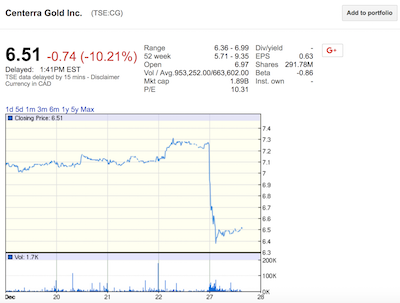 Canada's Centerra Gold (TSX:CG) issued a media statement where it explains that it had to suspend mill processing operations at its Mount Milligan copper-gold project in central British Columbia due to insufficient water resources. The stoppage is expected to last until the end of January 2018. In reaction to the news, the miner's shares dropped by more than 10% to $6.5 in mid-morning trading. Drier than normal conditions from March to August together with a limited amount of spring snowmelt resulted in lower than expected reclaim water volumes at the mine’s tailings storage facility. According to Centerra, the water shortage has been exacerbated by unanticipated extremely cold temperatures during the winter, which has resulted in a greater than expected loss of water volumes in the tailings pond due to ice formation. Even though Mount Milligan’s staff recently drilled additional wells to draw water from nearby aquifers located within the property, the additional water obtained was not sufficient to offset the loss of water volumes due to difficult winter conditions. “In addition, as a further, longer-term mitigation measure, the Company is pursuing an amendment to Mount Milligan’s Environmental Assessment (EA) to allow pumping of water from a nearby lake (Phillips Lake) and is applying for the additional related permits. It is expected that by the end of January 2018 there will be adequate fresh water available to restart mill processing operations utilizing just one of the ball mills (38,000 tpd to minimize water requirements). 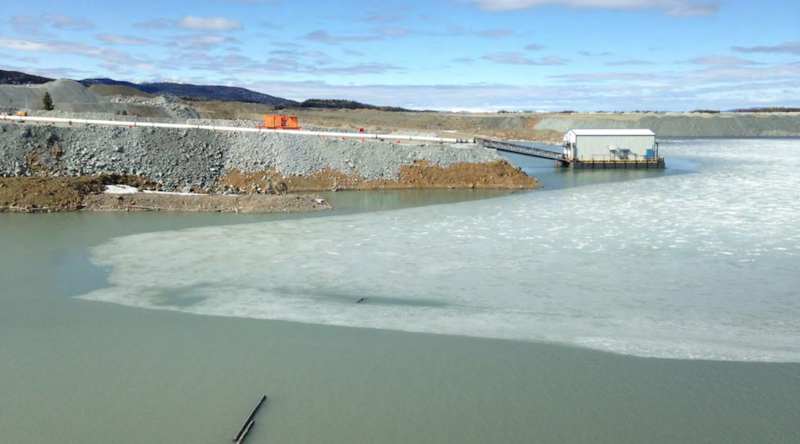 The Company expects that additional fresh water will become available after the spring melt, typically in April, at which time it expects to re-start the second ball mill returning mill processing operations to full capacity,” the press release reads. The Toronto-based firm said that despite this situation, the mine itself, which has produced approximately 225,000 ounces of payable gold and approximately 54 million pounds of payable copper this year, will continue to expose, mine and stockpile additional ores for future processing. Resource estimates at Mount Milligan are of 5.8 million ounces of gold and 2.1 billion pounds of copper in proven and probable reserves.